Space exploration is the final frontier left to explore by humanity. In many science fiction novels, we have colonies from all corners of the solar system from the Moon to Mars. While these were once thoughts to ponder, we are slowly coming around to the idea of creating space stations and bases on both the Moon and Mars, each with their own promise and potential. With the privatization of space technologies by companies like SpaceX and Lockheed Martin, we are being encouraged by both private and governmental bodies to imagine a time when these colonies might be commonplace. Recently, there have been four announcements made by both private and public institutions about creating bases on Mars and the Moon. NASA and Roscosmos, the Russian space agency, have announced that they will work on creating a space station that orbits the Moon. The intention is to make it easier to explore the lunar surface and the deeper regions of the solar system, like Mars. NASA hopes that this would be a space gateway to be used by both government and private companies to explore the further reaches of space. This effort is also being opened to other space agencies across the world and not limited to the U.S or Russia. The timeline for this project would be to start around 2026 as Russia wants to go to Mars by 2029 and NASA has other projects it is preparing that would be needed to begin making the Moon Space Station. Previously at last year’s International Astronautical Congress (IAC), Elon Musk announced that SpaceX planned on sending one million people to Mars as part of their colonization project using their interplanetary transport system. At this years IAC, Musk announced that they would continue with the Martian colonization plans. The difference would be that they are going be using the BFR (big f*cking rocket), which would be used for both space flights and commercial travel flights on Earth. The BFR would be powered by 31 SpaceX raptor engines. Using the BFR, Musk plans for SpaceX to begin unmanned missions in 2022 and begin manned missions by 2024 to Mars. The timeline is fairly ambitious and close. One of the main complaints critics have against this and the previous plans were the source of funding for these missions and the timeline needed to accumulate such funding and complete the rockets. Despite these criticisms, Musk envisions that BFR would be used for commercial flights, allowing people to travel to anywhere on Earth in 30 minutes. The ideal goal for SpaceX would be to have a moonbase that would serve as a refilling station for the BFR, making the journey to Mars cheaper and easier. With the news that Russia and the United States are going to collaborate on building a space station to orbit the Moon, it would represent a chance for SpaceX to reduce the cost of their mission to Mars project. Their end goal is to begin building a growing base on Mars. After being awarded the contract to build Orion, NASA’s new spacecraft as part of its space gateway projects, Lockheed Martin is looking ahead to Mars. They recently announced at this years IAC the plans for a Mars Base Camp. Their plan is directly tied to the NASA and Roscosmos space gateway, the moon space station, as the Mars base camp would be built on the space station in pieces and assembled there as well. It would be taken to Mars by Orion, which would serve as the central command hub of the base camp. The base camp would start out as a Martian space station and a reusable surface lander to explore Mars and the surround moons. Lockheed Martin anticipates that this plan would take about a decade to complete. This is currently in the theoretical and planning stages as NASA has yet to approve this concept. NASA is looking at other companies and concepts that would be used for deep space exploration. The United Arab Emirates has recently announced that they would begin the launch of the Mars Scientific City Project. This project is meant to be a stepping stone towards building a city on Mars. They announced in February that they would like to send people to Mars and begin settling it by 2117. To that end, they are investing $112 million in the creation of an enclosed science city on Earth to test out technologies that would be involved in creating the Martian city as well as showcase the different areas of science that would be conducted in the city. The city would be 1.9 million square feet surrounded by a dome. While they hope that the test city would emulate some aspects of life on Mars, there will be areas it will not cover. Those include the lowered gravity, need for oxygen synthesis, fully sustainable food sources and energy, and shielding from radiation. As part of the settlement project, they are also conducting research into those areas. The UAE hopes to use their Martian settlement project to lead and encourage a space race to Mars. 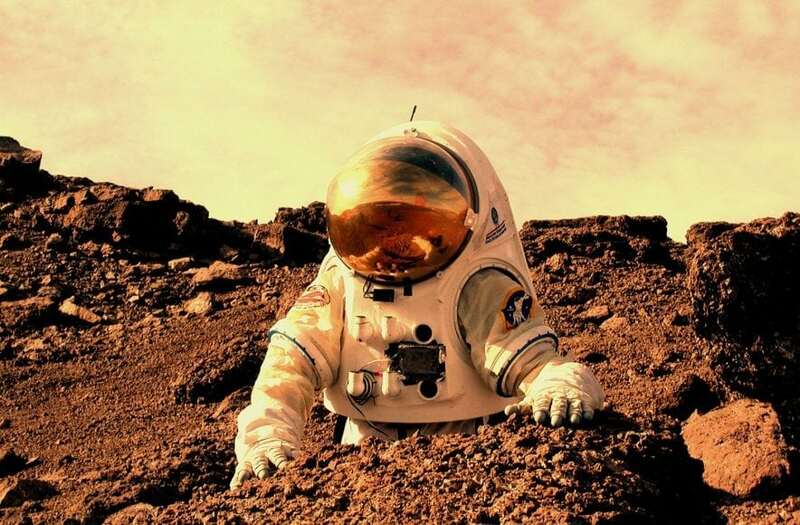 It is becoming evident that such a race is developing as plans to go to Mars is increasing in the private space world. It has even allowed two governments, the United States and Russia, to set aside their issues and tension and work towards a common goal of learning, exploration, and the advancement of human ideals. The success and failure of these projects will depend on how committed everyone is as they will need continuous sources of funding and researchers. Any decrease would run the risk of stopping or delaying the race to Mars. There is a lot to gain from exploring our solar system and beyond. The potential for space mining for resources limited on Earth, like rare metals used in computing, is great and lucrative. The search for life beyond Earth would be given a great boost as space exploration would become easier and accessing places like Europa would be possible within smaller timeframes.